The R.A.M. 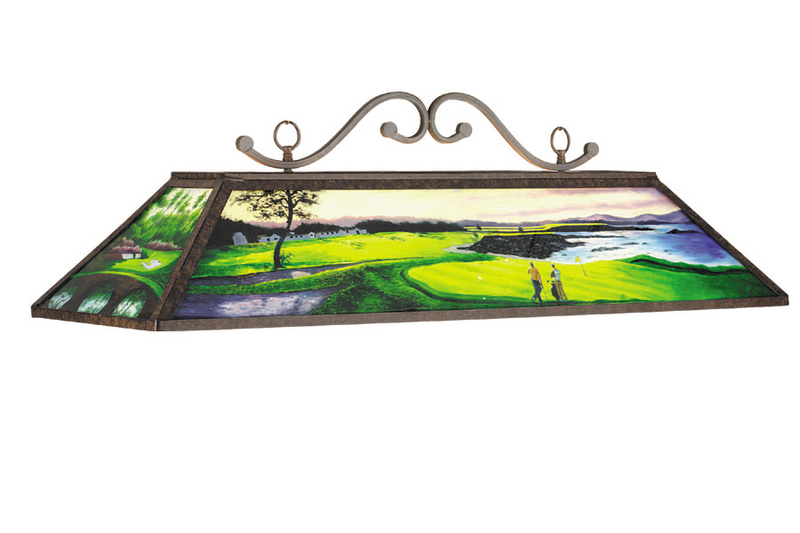 RP48 Golf light is a hand painted glass light perfect for any golf fan featuring renditions of both Pebble Beach and Augusta. Perfect for any golf fan and made for any size pool table.